I think there are so many article that explain about Google Adsense. Google Adsense is simple way to get money online. But there are several way to get approved from Google Adsense. And if you using Google Adsense on your blog, of course there are blog users using Google CSE (Custom Search Engine) as their way to get money. Google Adsense Custom Search Engine (CSE) helps to boost blogger earning, And it also helps your readers to find content on your blog. And below I will tell you about Adsense for Search Example. I hope you pay attention for this guide. 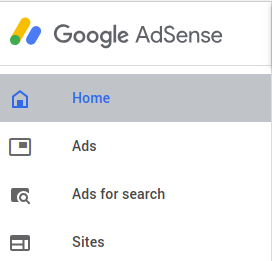 Login to Google Adsense, wait for moment until Google Adsense dashboard is show. After You have login and then you will see Google Adsense dashboard. On the Google Adsense You will see Menu Bar on the Left Side Position. Make sure that you have been Apply for AdSense for Search. But if you don't applied so Ads for Search Button will not appear on menu. 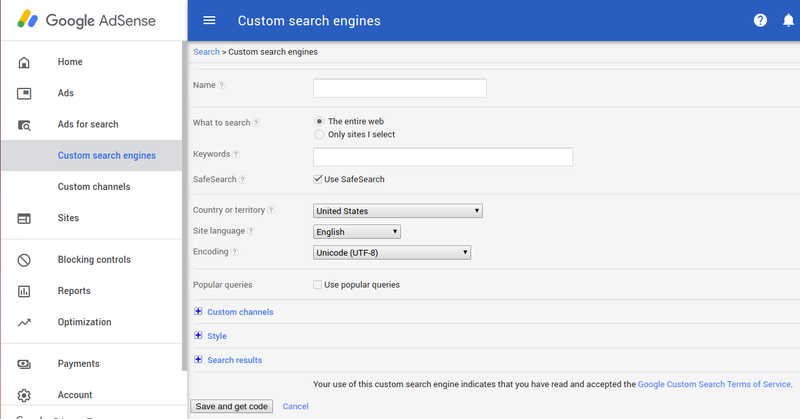 Then you will direct to Create Custom Search Engine (CSE) form settings. And next move is by insert on Keywords input textbox .If you don't have any keywords, leave it blank. And other Setting just very simple. User will get information that searching based on keywords that type on the Search Input Text. It Help Reader when looking for data that user want more easily. Of course there are question why Google Adsense Custom Search Engine (CSE) do not show on the Left Menu Bar. Because on the dashboard default it does not appear until user is applied first. Just like another ads on Google Adsense, Google Adsense Search Engine (CSE) have a lot of style. You can setting your Google Adsense Custom Search Engine using style by your own. I suggest that search button icon using dark style when your blog theme using bright color. But if your blog theme using dark color then, use search button icon using bright style. 0 Response to "ADSENSE FOR SEARCH EXAMPLE"